Hi, anyone remember anyone here? Are House photos still taken? Have you got the years and any names, ray day ? I recognise Jesson-Dibley in the second photo. Who's the senior Housemaster ? Looks familiar. One or two the senior boys look familiar as well. The late "Kit" Aitken is the senior house master in both photos. He was the first teacher I had at CH when I was in form 2b. I remember being fascinated by how he could ride a bike with only one leg. He just had a single pedal on his bike. Mid A 15 wrote: The late "Kit" Aitken is the senior house master in both photos. I thought it was. He never taught me, but like you, I was amazed at his cycling skills with the fixed wheel and pedal. Oh No, not that sort of broad either. If I could find my copy of this photo, I know it has all the names with it. If anyone is interested in what I'm up to, apart from still working at NatWest, take a look at my website http://www.festivalfolk.co.uk you might even like to order a copy of my book! All profit is going to the Teenage Cancer Trust. 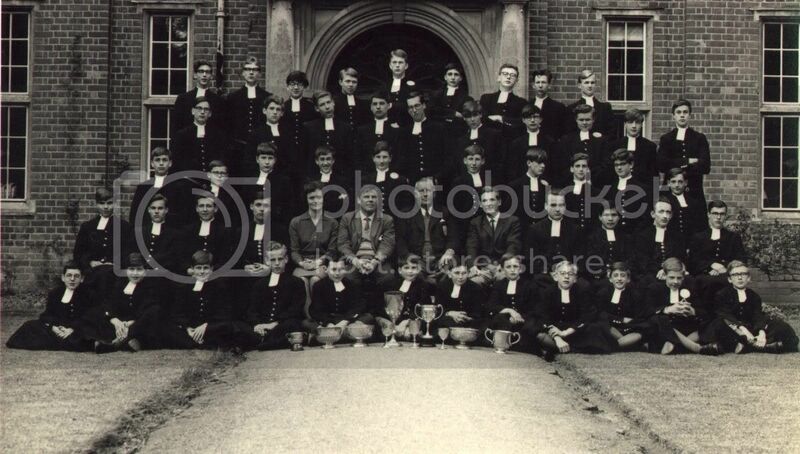 Top photo, right hand end of front row, and second photo, middle of top row, Galbraith. French horn player and also occasional science partner. He had an accident as a child and only had a thumb and little finger on his right hand. Bottom photo, top row, right hand end, side drum player but can't remember his name. Same photo, the button grecian at the right hand end of the second row seems familiar, but again, name escapes. The top photo looks as if it was taken in the last years before they became a senior house. Excellent Robin, I've now added a few more Christian names. Not Peter Hiner (an exact contemporary of mine, who left in 1963) but his younger brother Michael. They looked very much alike. 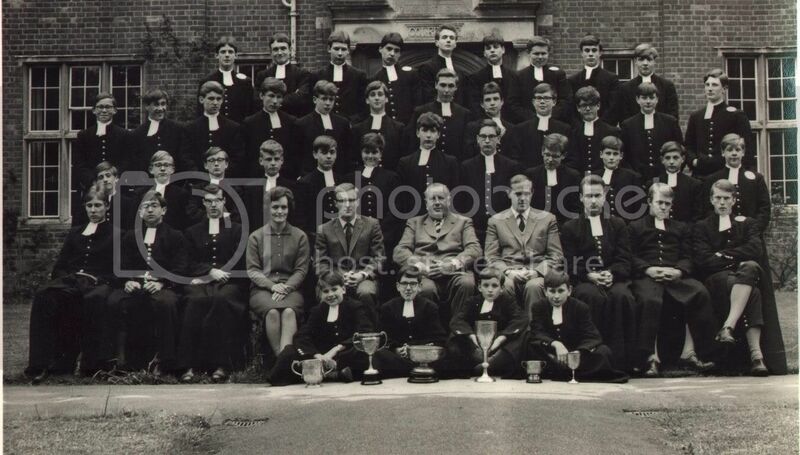 Damn, I am in the 1965 picture, with my mod hair style emulating the Small Faces. How weird.